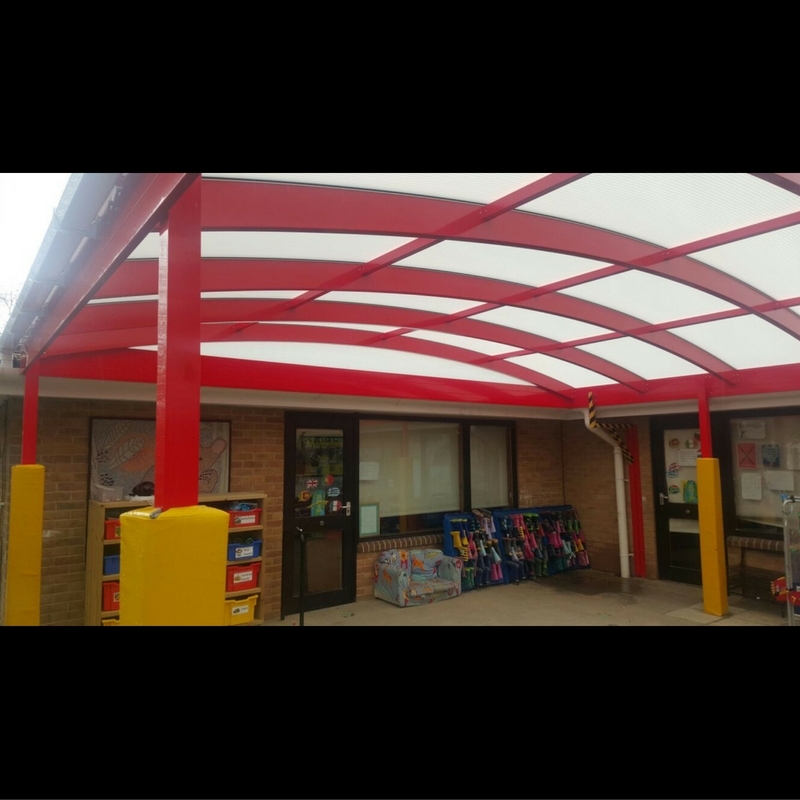 Aliport Commercial were first contacted in February 2015 about this project. 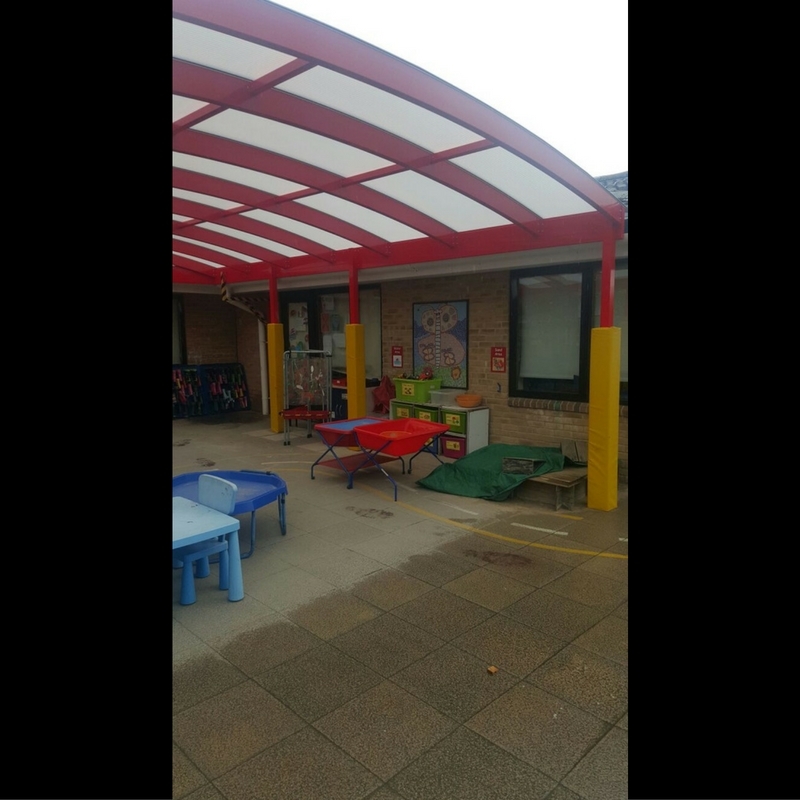 Holy Trinity was in need of additional space for the children to play and enjoy and also an outdoor play area where the children could enjoy the fresh air without being restricted by the weather. 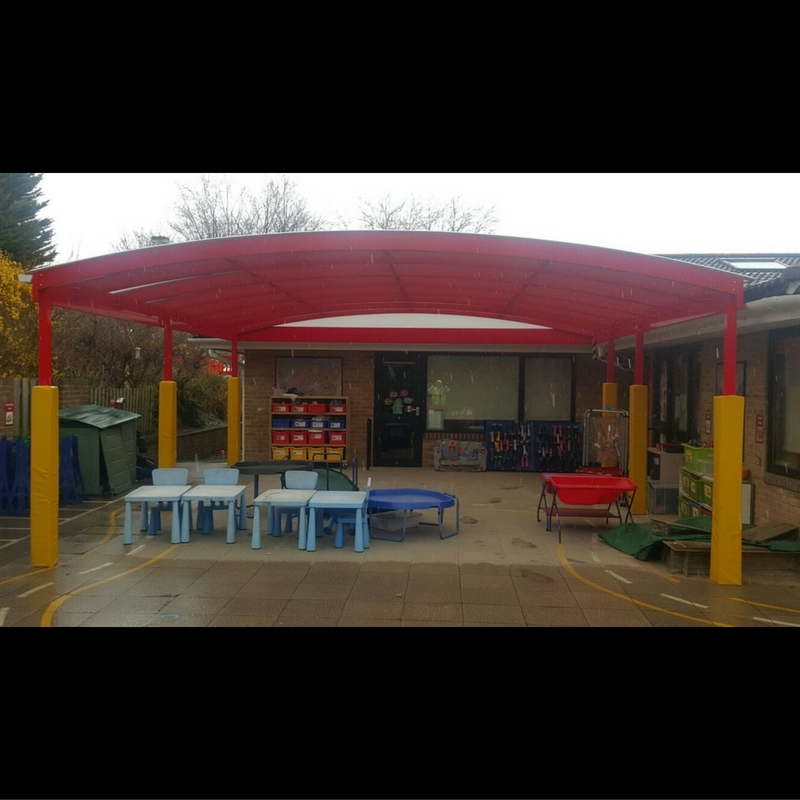 The School not only wanted this to be a usable space but also a colourful and vibrant space. 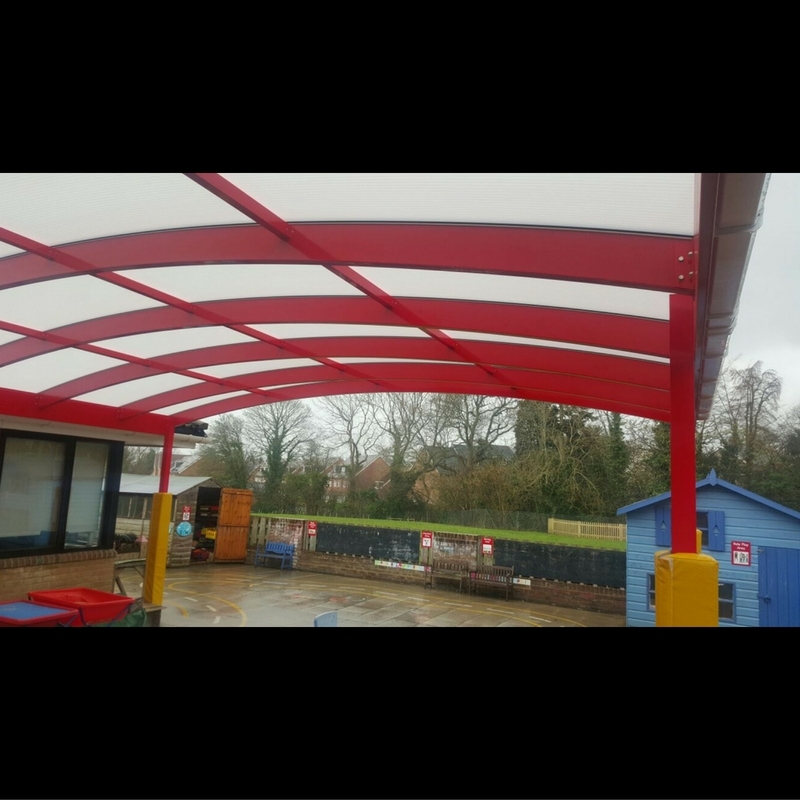 Aliport Commercial commenced works in July 2016 and over a 6 day duration installed the canopy. 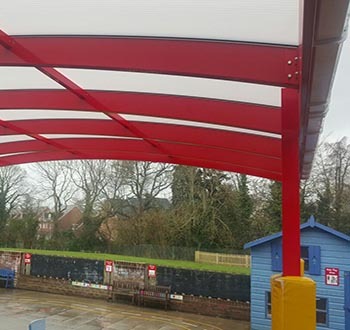 The Aluminium was powder-coated red and post protectors were fitted in Yellow leaving an exciting colour contrast that looked vibrant and welcoming for the children to play in. 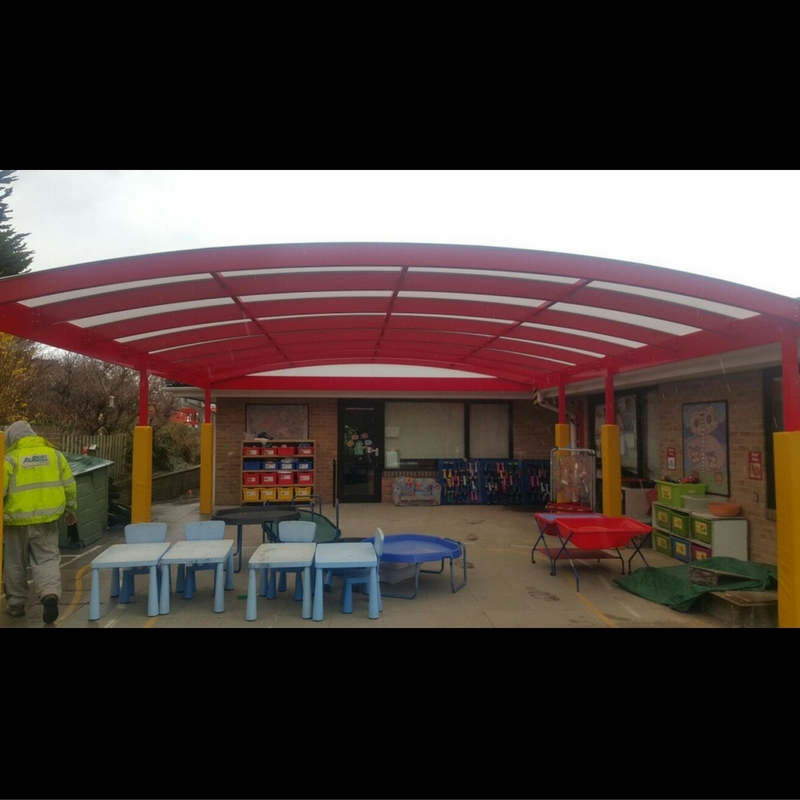 The Freestanding Full Curve Canopy looks stunning on site. 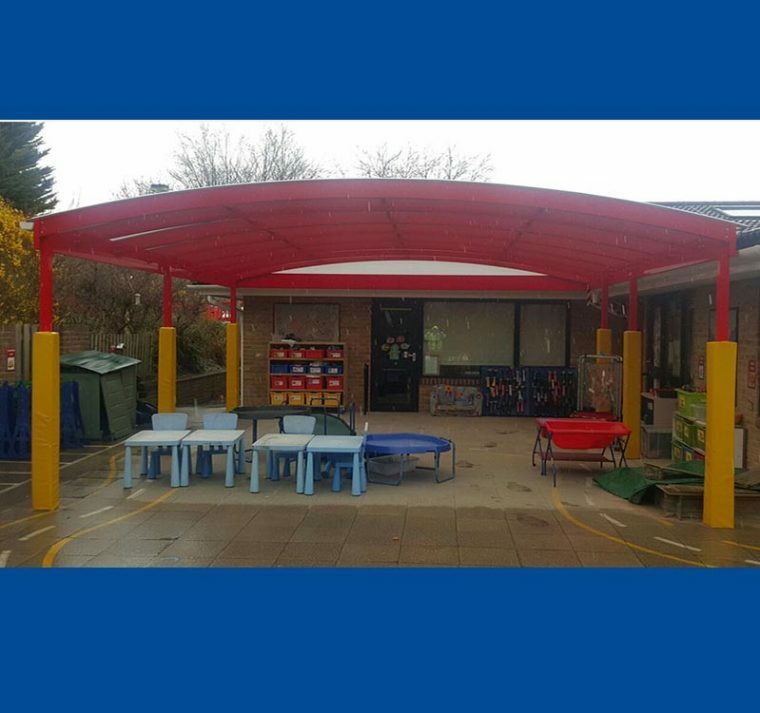 Curved Canopies can be fixed to buildings or created as Freestanding installations. 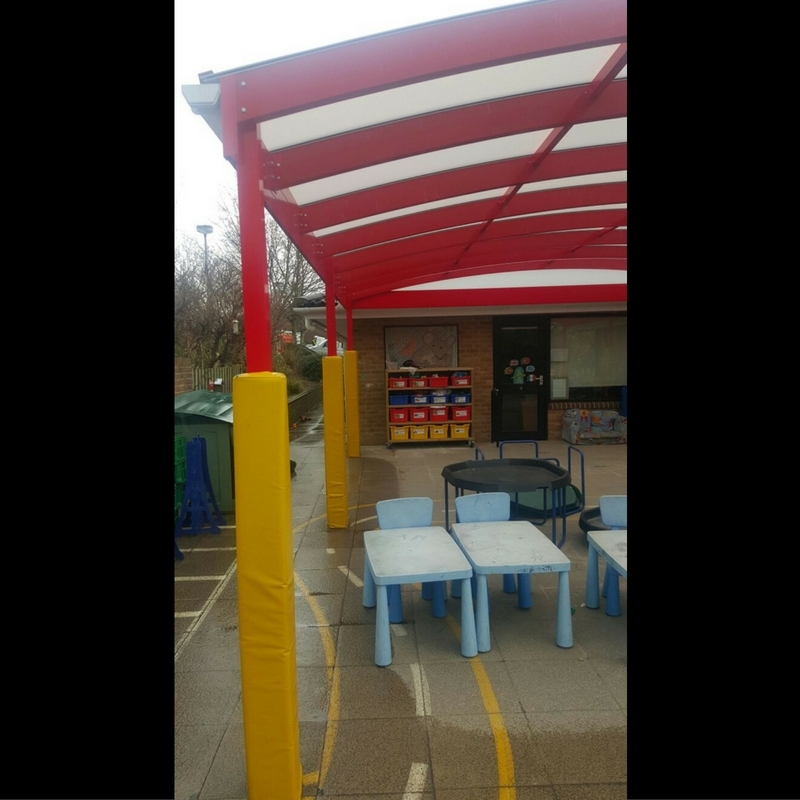 They create a modern and stunning area of shelter for Outdoor Play Areas. . .